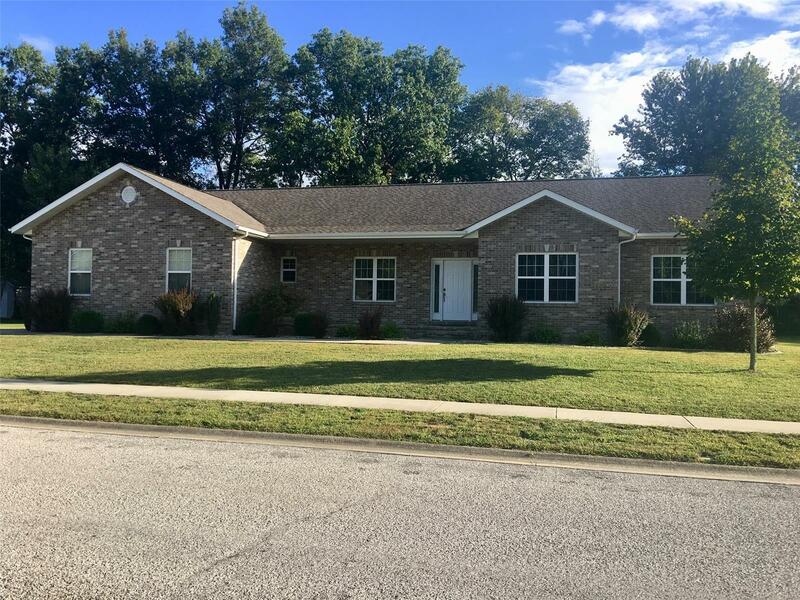 Custom, one owner full brick ranch style home in a desirable neighborhood near park and McKendree College. You will feel right at home the minute you walk in the entry foyer! Kitchen opens to the great room with gas log fireplace. Separate dining room with wood flooring or snack bar in kitchen. 9 ft ceilings throughout the main level. The split bedroom floor plan allows for privacy for all! Amazing sized bedrooms are sure to please everyone! 18x18 master bedroom with walk in closet and adjoining master bath has all the room you need! Also on the main level is a 24x11 bedroom with built in bookcases, a window seat and walk in closet. In addition there is a 22x12 bedroom on the lower level, also with a walk in closet. LL includes a media room with built in speakers, family rec room and unfinished storage area. Main floor laundry room is off the entrance from garage. Atrium doors in kitchen open to the patio in the private back yard. Quick possession possible! Only 9 miles to SAFB!